GDI will be performing systems maintenance the afternoon of March 2nd, beginning around 2:00 PM PST (-800). SiteBuilder and Email.ws may be unavailable briefly during the maintenance window. Don’t worry; email will continue to be received, and no WebSite content will be lost. Many GDI members have been asking me on how to Generate Leads for their GDI Business. We have discussed this very much in detail in our special report for our downlines including some discussed here in our blog which you can browse freely for ideas. Leads are crucial to businesses. Those who are already experienced with network marketing, mlm, insurance or even real estate understands that leads are like a lifeline to their business. Without leads, there are no customers and no sales. Leads are also known as prospects in Global Domains International. As usual, our main focus is to help GDI members to get leads FREELY or at least CHEAPLY. We do not belief in spending fortunes in getting leads for GDI hence we have discussed about how to build your GDI websites that attract traffic and leads 24 hours a day for as long as you have your website without much cost or effort. For those who prefer not to go the technical route of building traffic magnet websites as we discussed in our report, you may browse through classified ads sites which contains a lot of leads for all types of business. You may find prospects looking for work at homes jobs, online businesses etc.that are suitable for your GDI business. We must admit, browsing through these site can be a daunting tasks, we have done it before manually and believe it or not, it took us hours to get our Free Leads. We then come across this new software that has just been released that can help search through these classified ads sites for hundreds of leads within seconds. 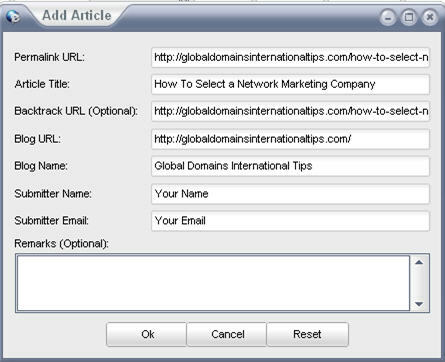 It was just released on 15 June 2009 and we immediately bought a copy to get collect our Free Leads using the software. to retrieve tons of targeted leads from the three most popular online classified ad sites in almost any niche you could think of within a couple of seconds. Find ready-made prospects who are interested in your CPA offers. Watch this video to see a live demonstration of the software in action! 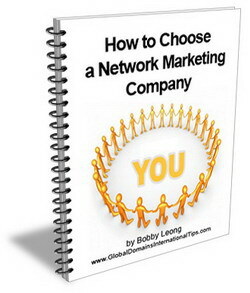 One of the key point in selecting a good network marketing company or a home based business to work with is to the supporting materials the company provides for its members. In this case, GDI – Global Domains International Inc has done it again by not just providing many different kinds of ready made websites for its members to use them as marketing materials but keep improving them with updated design. GDI has just updated the design of one of the ready made GDI website at Website.WS? This new improved design is very much welcome by all GDI members & affiliates as it shows that GDI is committed to provide good marketing materials for its members and continue to improve its features. 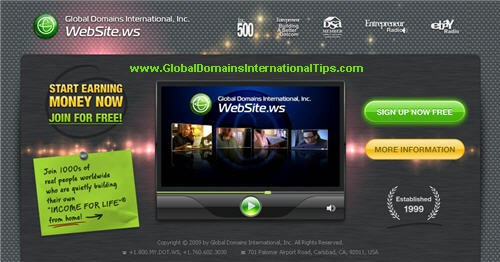 I am happy to share with you the new website choice offered by Global Domains International for its members / affiliates. This has proven yet again that GDI is committed to improve its services and features for its members and introduce new features and website choices for members to use in their marketing and promotion of their business. If you have not already registered with GDI, be informed that GDI provides many ready made websites which members can use instantly to promote their GDI business. All members need to do is to replace the URL’s of these websites with his/her USERNAME and the website will be personalized with their name, affiliate link and contact details. See some of the previous GDI website choices here. The new website choices consists of Two very well designed modern website with a short 4 minute NEW Video explaining the GDI business model and benefits. Or, GDI members can log into their members area and click on “Replicated Sites” to choose the extensive range of ready made GDI websites for use with their .ws domain that they registered with. Members can even choose a random choice of sites where GDI will serve a random type of websites to your registered domain. If you have registered your GDI from this website, please log into your special members page to download our new banners and video player icons that you can use to promote your GDI business. Log into the page with the password provided for you when you first signed up. If you are not sure whether you have signed up under our downline, please email your upline to request for the password. Have you noticed a Virtual Live Agent pops up when you try to exit Global Domains International websites? 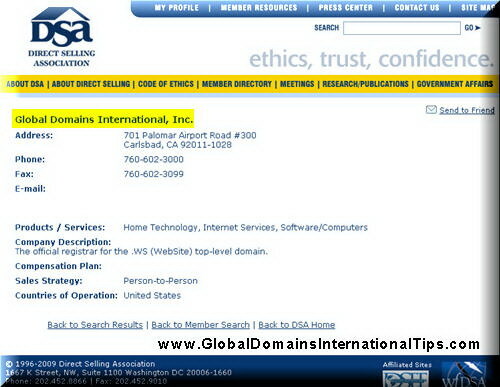 This is a recent addition to the tools provided to help you with promoting your Global Domains International business. This kind of web feature has proven to improved website conversion, meaning that it has proven to increase sales or sign ups from visitors to your websites. This improved feature is very much welcome by all GDI affiliates including myself as our sign up rates have improved drastically since the feature went live this month. If you have not noticed the feature, try going to any of your GDI websites such as Website WS or Freedom WS, click on exit or try to close the current window and you will see the virtual live agent pops up, giving an option for visitor to chat with the live agent. Try it for yourself and you will see how it works.